A home with a patio is considered complete in that it promotes both indoor and outdoor living. An outdoor space with a garden and entertainment area also adds value to the residential property. A type of patio that can last for a lifetime is one made of natural stones. It can use a mix of the different stones available or a single type such as the flagstone, limestone or marble. 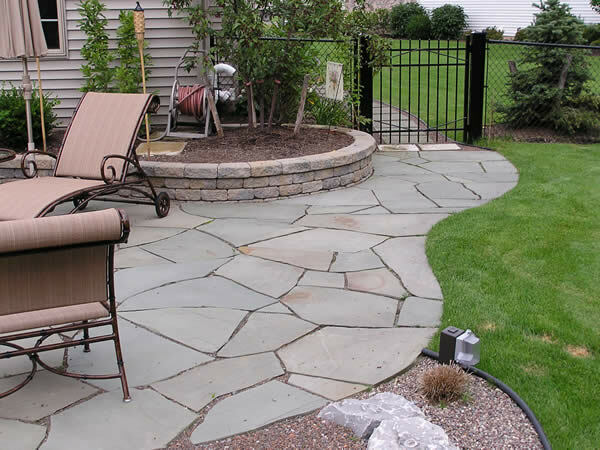 The flagstone is a popular choice today owing to its versatility and durability. It won’t easily warp or crack when exposed to harsh substances and is weather-resistant. A stone patio evokes a unique beauty and charm unlike other materials used in an outdoor space in a residential property. They are pleasing to the eyes and blend well with the natural environment. And since they’re made from nature, you can be sure to enjoy an eco-friendly outdoor space in your home. It should be understood, however, that like any part of the house, the patio needs to be well maintained on a regular basis. Contrary to what some people believe, it is not maintenance-free. Natural stone needs to be cleaned and sealed regularly. Proper care is vital to preserve the stones and the beauty of your outdoor space. One of the most important steps to take is to seal your stone patio. This way, you ensure that no grass or weeds grow in between them and a smooth surface is achieved. The sealing process also needs to be done periodically as the old layer can also suffer from dirt buildup. Before you start sealing, however, the stones have to be cleaned first. Keep in mind that dirt residues, algae and other particles can get in between the stones and its pores. For surfaces that have been newly installed, grout and cement residue also need to be removed. Cleaning stone surfaces can be done by using water mixed with detergent for stains and bleach and water to remove the black spots notably in dark and shady areas. Scrubbing is the best way to get rid of the stains, dark spots and even moss, mold and mildew. When you’re done, flush the surface using plain water. After cleaning, the sealing process can proceed. The purpose of this is to fill the pores in the stones and the gaps in between them. This then achieves a smooth surface that can repel spills which can affect the condition of your stone patio overtime. When choosing a sealer, avoid the glossy finish as this can compromise the stone’s natural beauty. Choose instead a matte finish and a penetrating acrylic sealer that can cause water falling on the surface to bead up instead of staying there. Do remember to reapply the sealer every year to retain your stone patio’s color and protect it at the same time.